Loves ur blog & photos!! the 1st recipe i tried is ur zucchini cakes!! yum yum!!! I’d stumbled upon your blog and it;s the best blog on cooking for toddlers that I’ve ever seen. Thanks soooooooooo much for sharing the recipes for helpless mums like me!! i was surfing the website for cooking class so that i can learn how to cook!and somehow miraculously i got to your site!if no one told you before,i am going to! You are god sent! Amazing! Thank you so much!!! I am so excited and just want to run out to the nearest supermarket to buy groceries and cook!I have just started writing a blog and i must share about you!Once again,thanks! i am gonna try your recipes and will let you know how it goes. Wowwww… I’m also really thankful that I found this website.. it’s very attractive and all the food look really yummy too. my baby turned 1 year old last week so I can’t wait until he can eat all this food when he’s a bit older perhaps 😀 but your website is already in my bookmark. I love the photo and your website design, very2 nice.. are you a food stylish? May i know how to make a butter cookies??? Hi, do u have any recipe for almond cookies? Love your website! But do u have any beef recipe to share? Hi, ca u share a simple fish soup and spinach recipe for my 2 year old…she loves eating clear fish soup wenever she goes to thai rest…bt i dont ve a clue on hw to go abt it.thk you. Thks so much for sharing! Your recipes are fantastic! Always look to your blog for my son’s weekend meals now! Look forward to more great recipes from u! I so love your site. keep it up! love the simple recipes you posted. Hi just wanna tell you you are a great cook! I have tried a few of ur recipes, and everyone of them was great and accepted by my fussy 21 month old boy! Eg black bean soup, beetroot soup, steam egg, steam meat patty, long bean omelette, chicken potato stew, steam chicken with red dates and wolfberries, okra with tomato sauce and blanched brocolli ! Keep up ur good work! Thank you for sharing! Thank you! Btw I just tried the pumpkin rice tonight. It is so so yummy!! I love it so very much! It tastes so much more wonderful than i imagined! Thank you again for sharing! Tried your pumpkin rice..whole family including my 1yr+ girl love it! Chanced upon ur blog and i got hooked looking thru ur recipes and pics! very nicely done! Printed a numbs of recipes hoping to try it asap. CN: Thanks for your sweet words. So glad my recipes work for you and your family. I’m sure you can be better than me one day. Keep up the good job! Am so so so so glad I found your blog, I’m a total failure at cooking and now that I have a 2yr old, I wanna be able to cook delicious n healthy food for her. Thank you so much for your recipes!! Rach: Thanks for your kind compliment. If you start cooking now, I believe you can do it too. I also have zero knowledge in cooking before that. Luckily I have 2 loyal supporters who swallowed all my “failures”. lol! Happy trying! Hi! Love your recipes! Thinking of trying out the pineapple tarts. Could u pls advice where i can buy the pastry/dough press from? I could not find it anywhere 🙁 Thanks! Thanks for writing this amazing blog. We love it. Will be trying them out this weekend. Hi, I’ve tried a few of your recipes and it has worked out every time. My family was never disappointed. My hubby recently said “I noticed we are having more home cooked food these days”. Thanks for the wonderful ideas! I’ve been sourcing around for cookbook recipes to spice up my 4 year old boy’s taste buds, and you have great looking mix of food here.. will be heading to the supermarket to get some of the ingredients! 🙂 thanks loads for sharing..
wow..itz amazing how much variety of food tht u have cooked for your family.It comes so handy to me.My 3 year old daughter is such a picky eater and i guess i found the right website to introduce some new food to her.Keep posting! Hi, loves your recipes very much. It’s help me a lot as i no cooking experience at all. I have tried a few of your recipes, thumbs up. Do you have any lotusroot recipe? I’m trying to learn some new dishes to feed my prince. Saw your blog, its awesome. just wondering which recipe is suitable for toddlers aged 13months? Carol: Thanks! As I mentioned in my “ABOUT” page, my recipes may not be suitable for kids below two and half years old due to allergy and health issues. So please use them with extra care and make the necessary adjustments. 接下來,想试yam rice…thanks again your recipe. Hello. You have a really good blog! the pictures are also very nicely taken. 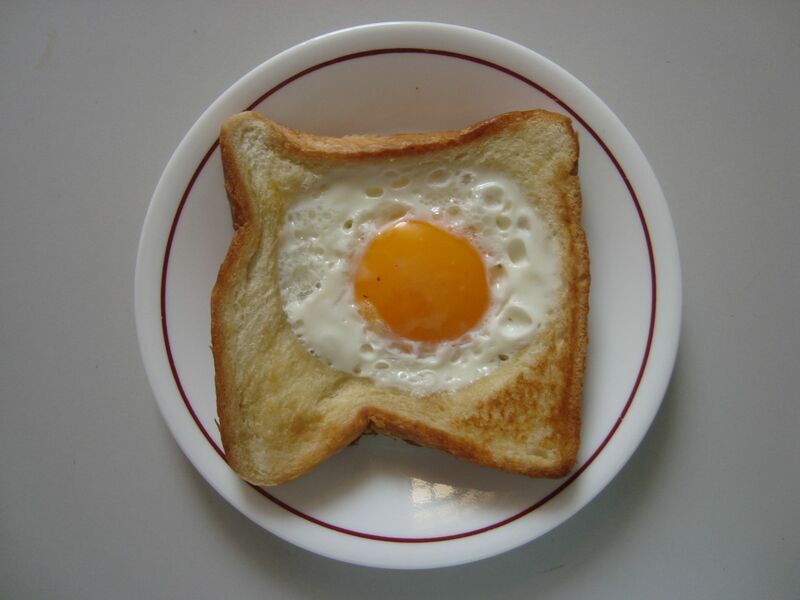 and every single picture posted in ‘steps’ helped in giving me an image of how the egg basket toast should look like. and uh, do you know how to make pancakes golden brown? is it possible to do so using instant pancake mix? can I have the link for gingerbreadman. from your wite, it links me to pizza. Julia: Here are the links for the recipe: http://food-4tots.com/2010/12/15/gingerbread-man-cookies/2/ and http://food-4tots.com/2010/12/15/gingerbread-man-cookies/3/. May I know how did you get the link to the pizza? I love your blog! The best ever. Thank you, thank you for sharing complete with pictures too. I’m always out of ideas, infact no idea at all what to cook for my 2 years old toddler. Im going to try the steam minced meat and mix veggie soon. >.< i do hope mine will turn out well. hey, i was searching for applesauce recipe and landed on your blog.i loved the recipe and the pics sure look like a treat.waiting to explore more recipes..! I thought I saw your recipe on mango pudding. But I cannot locate it now. Can you kindly direct me to it please. Thanks! Hi, my toddler is 2.5 yo and a fussy eater. Glad that I found your site and i really love it. Thanks for your recipe & keep it up! Got to know about you through a friend. Am happy to browse through all the recipes that you shared. I tried some of the soup recipes already. Btw, you mentioned that the recipes is suitable for toddler aged 2 1/2 years old but my LO is turning 2yo next month. Is there any recipes that i should avoid? Hi, I love your recipes. They are easy to follow and practical. My son is going to be four. He only eats meals cooked by me. He doesn’t like to eat outside food, esp deep fried. It sounds super healthy but at times when I don’t have time or energy to cook, he’ll rather just drink milk. I’m now worried when he goes to primary school, what are the snacks and lunches I can prepare for him which are simple and can keep in lunch box for a while. Can you come up with a school meal category? Thanks! Hi just wanna say thank u for your recipes which are ideal for my young kids. Tried the banana choc cupcakes and it turned out really well! Pls keep this blog going! The recipe is awesome. …can’t wait to try today.